Thank You Feld Entertainment for the tickets to see the show. As always all opinions and thoughts are my own. Hi Foxy Friends! 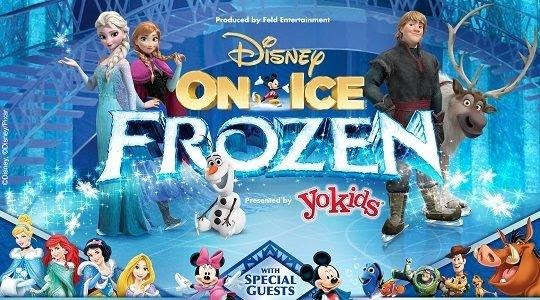 Don't forget that Disney On Ice is coming next week! I know a few of my friends still have to buy tickets! They're going fast, so make sure you take your kids to see it. I know my kids are really excited to see the show. In case you don't know: Disney on Ice - Frozen is coming to Southern California from April 19-29, 2018. For more details click here to check out my post from a couple of weeks ago. But here are the important details. And I have a coupon code for 20% off, use code MOM20. So now you have no excuses, go get yourself some tickets!